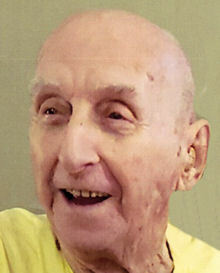 Daniel G. Beachler, age 92, of Lorain, passed away Sunday February 10th, 2019 at Mercy Regional Medical Center. Dan was born in Lorain on November 24, 1926 and remained a life-long resident of the city; he was a graduate of Lorain High School. Mr. Beachler was a veteran of the United States Navy where he fulfilled duty assignments as a Gunner’s Mate in the Pacific Theater. Dan was the recipient of the Asiatic-Pacific Theater Ribbon, the American Area Campaign Ribbon, the European-African-Middle Eastern Theater Ribbon, and the World War II Victory Medal. He was a life member of Amvets Post # 47 in Lorain. Dan was employed as a lubrication repairman in the # 4 Seamless Mill, the Bar Mill, and the Open Hearth at U.S. Steel Corporation’s Lorain-Cuyahoga Works for forty-three years. A member of United Steelworkers Local 1104, he retired in 1987. In his free time Dan enjoyed golf, bowling, and radio-controlled airplanes. He is survived by sons David Lee of Lorain and Randall Beachler of Lagrange, Kentucky, daughter Judy Razzano of Jacksonville, Florida, five grandchildren, and three great grandchildren. Dan was preceded in death by his wife Margaret in 2010, by his parents Henry and Ruth Beachler, brothers John, Henry, Fred, and Victor, and sisters Millie Hill, Mary Porter, and Anna Smith.